The oldest and most respected history magazine in the UK has this week published an article by Patrick Little, Chairman of the Cromwell Association, bringing the campaign to save the Cromwell Museum to a national audience. 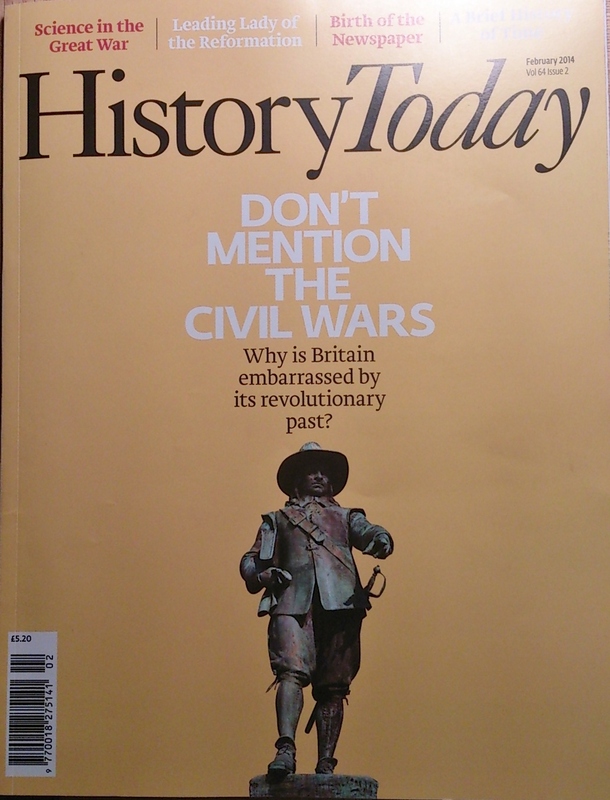 The magazine’s headline is ‘DON’T MENTION THE CIVIL WARS’ and the cover article, Reluctant Regicides (p18), by Richard Weight and Toby Haggith, asks why modern Britons still find it so hard to acknowledge their revolutionary past. This only emphasises the importance of a Museum which interprets one of the key figures of the Civil Wars. History Today (Volume: 64 Issue: 2 2014) – which features a striking image of the statue of Oliver Cromwell at St Ives on the front cover – is on sale now. This entry was posted in Uncategorized on January 24, 2014 by savethecromwellmuseum.